the hottest town on earth! Hveragerdi (Hveragerði in Icelandic) is a very special place not far from Reykjavík. Hveragerdi is a very special place not far from Reykjavík. 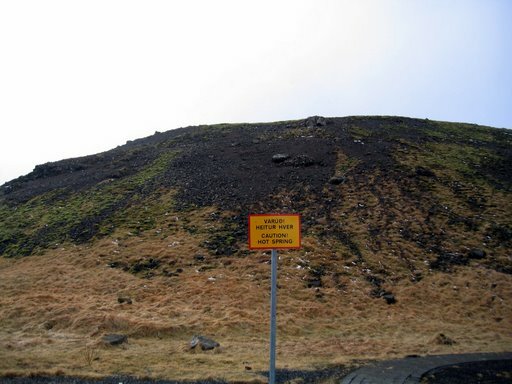 To get there, you can either cross the mountain pass called Hellisheiði, an unusually well-kept and broad stretch of road across beautiful mountainscape, or else take the road called Þrengsli, across the wilderness, but avoiding the great heights. 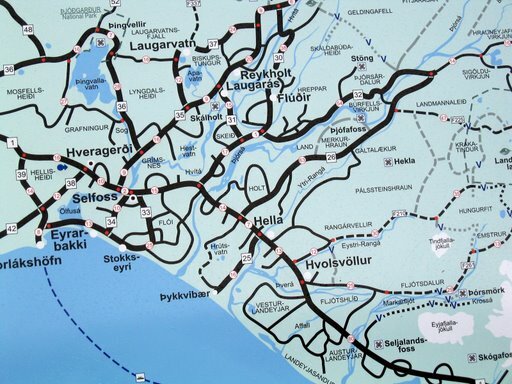 We chose the first option, which is usually the best, except when there is heavy snow and slippery tarmac. 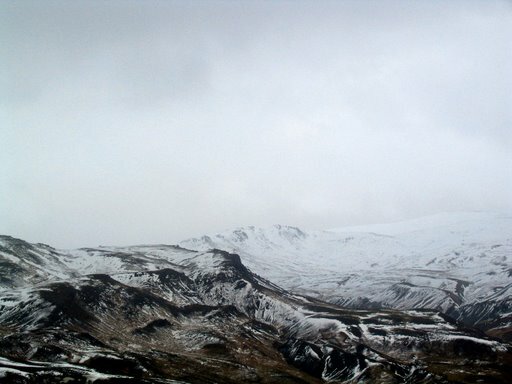 Just going down from Hellisheiði to the valley where Hveragerdi lies huddled is an adventure when the sky is clear. 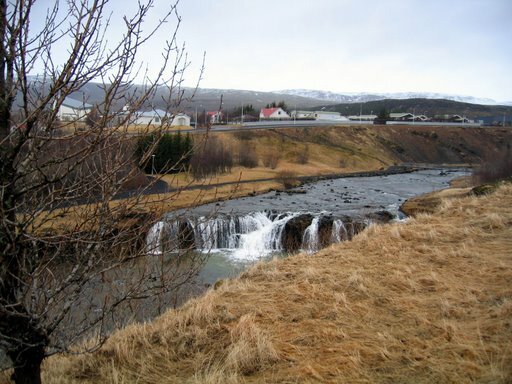 You can get a glimpse of the Vestmann Islands and Mount Hekla if you are lucky. Gorgeous mountains in all seasons. The moss gradually grows green in the springtime. 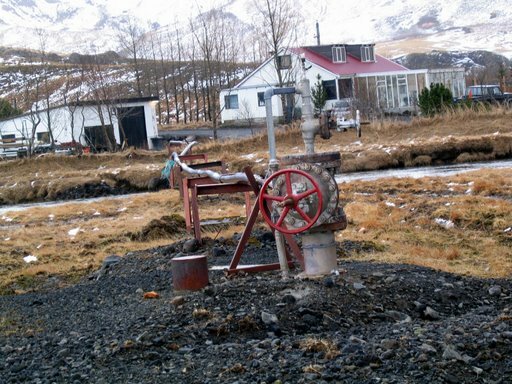 The Reykjadalur valley is known for its variety of springs: you get them hot, cold or fuzzy. There are those who say that the only thing you have to bring with you is a bottle of whisky. The town Hveragerdi is where you can grow bananas if you want. Hothouses abound, as do the hot springs. We know of people who have grown lychee and grapes in these remote parts. For combustion-free central heating, you just tap a hot spring near you. There are signs that tell you to beware of the hot springs, as they are hot. This one is found next to a famous spring called Grýta or Grýla, depending on who you ask. The river Varmá runs through the village. Yes, the name means warm river. If you cross that river at a point not far from the one pictured below, you are on your way to some gorgeous hiking trails through deep valleys and desolate highlands. This view of Varmá is taken just outside the swimming-pool. Hot springs abound in the river bed, and the jokers say it is great to catch boiled trout there. we chose to go to the lovely swimming-pool. Oddly enough, the showers are luke-warm, but the steam bath alone is worth the trip. It is a shed built on top of a hot spring, which you can hear bubbling just under your bench. Relax and enjoy the steam.